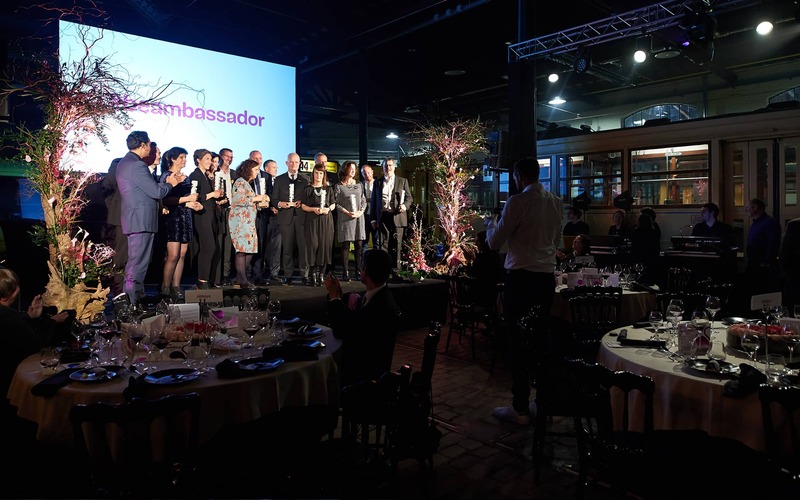 visit.brussels celebrates its Brussels Ambassadors, who promote Brussels as a unique destination for MICE events (Meetings, Incentives, Conferences, and Events). 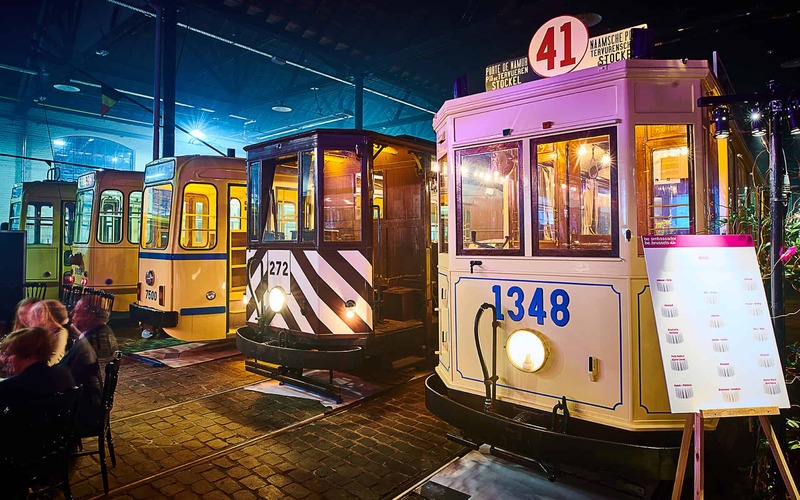 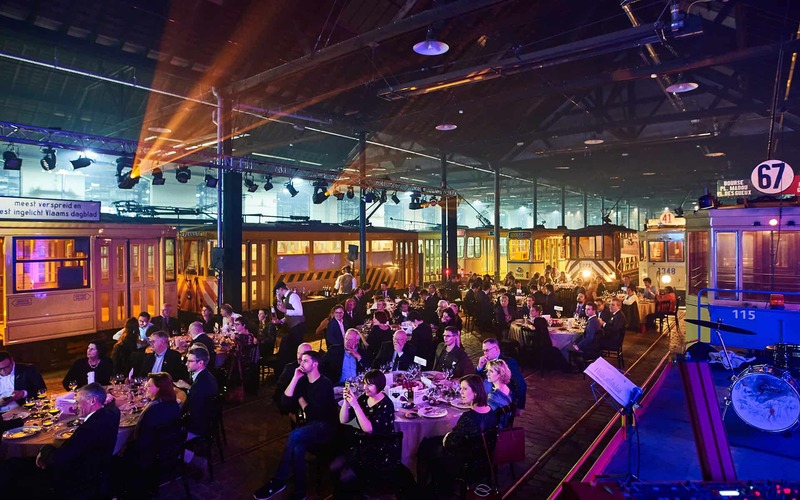 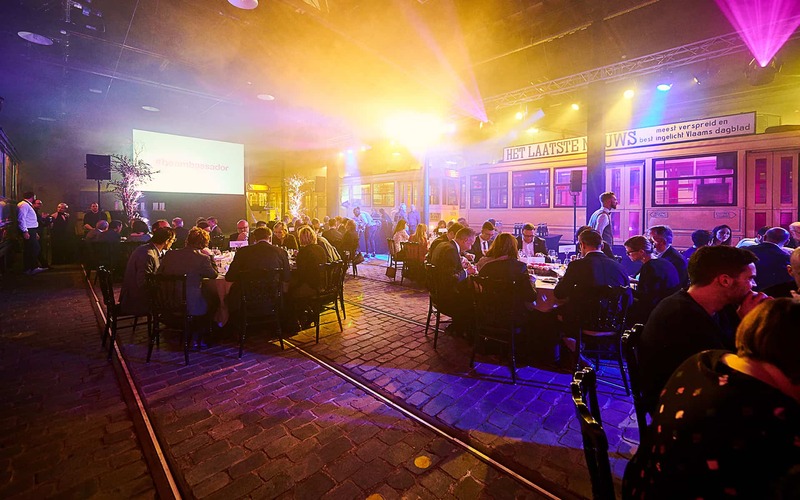 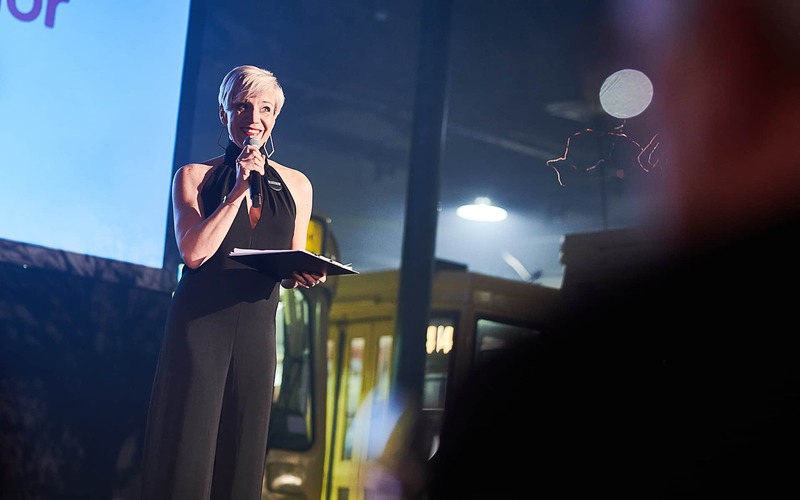 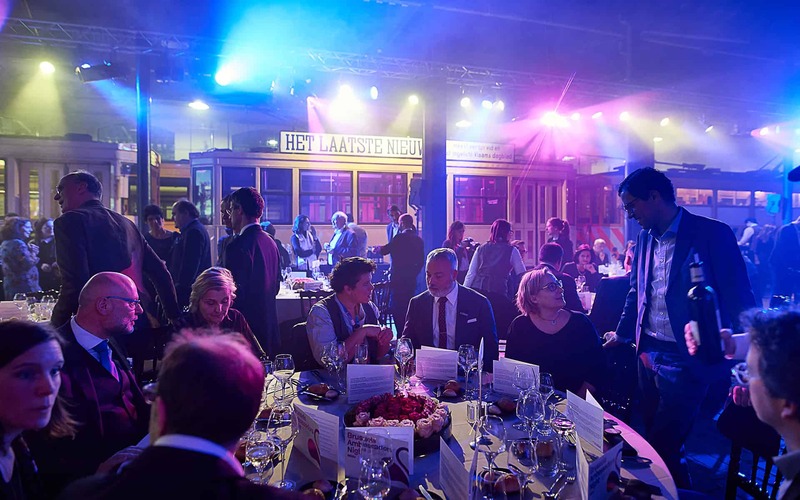 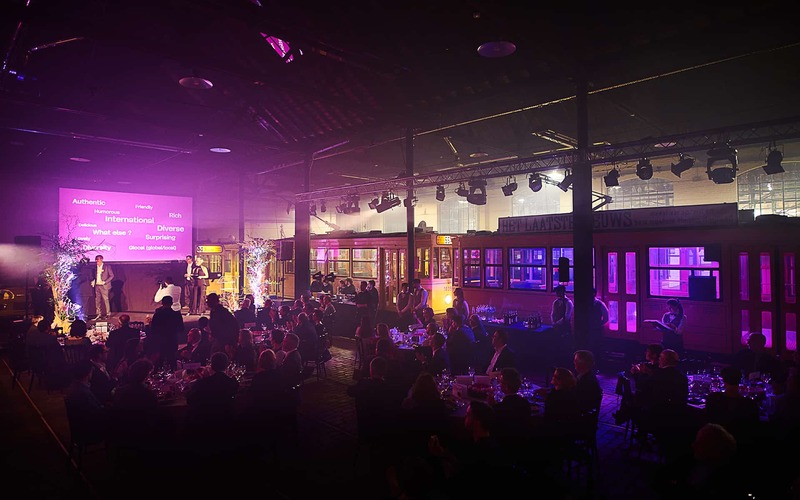 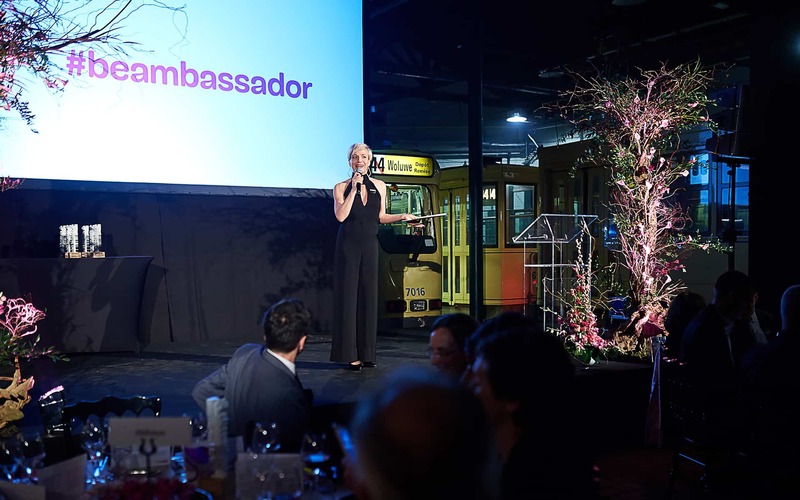 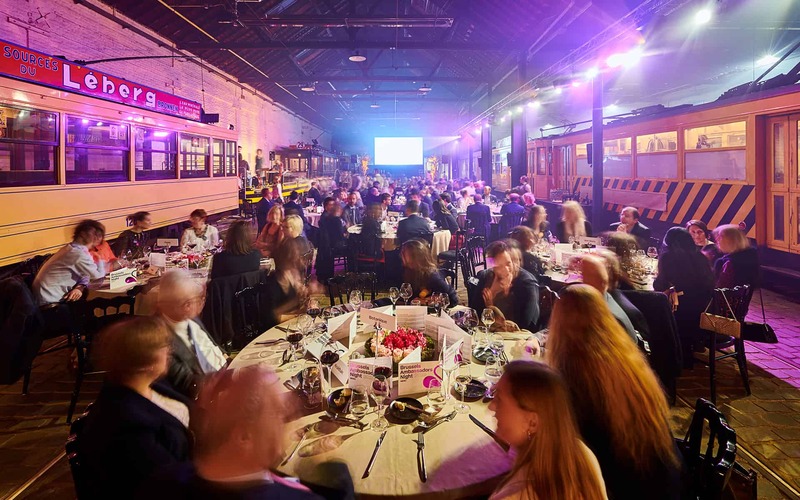 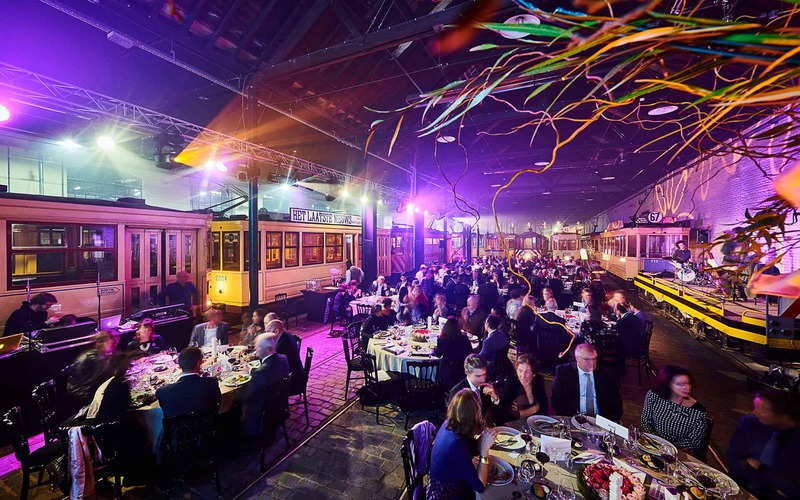 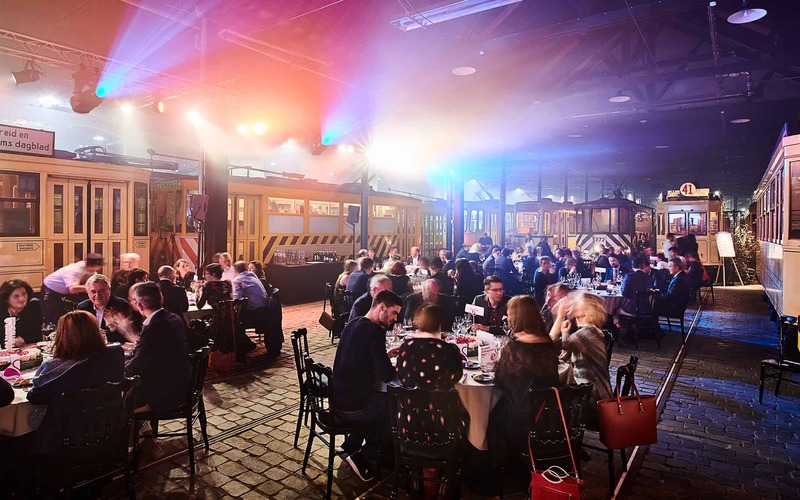 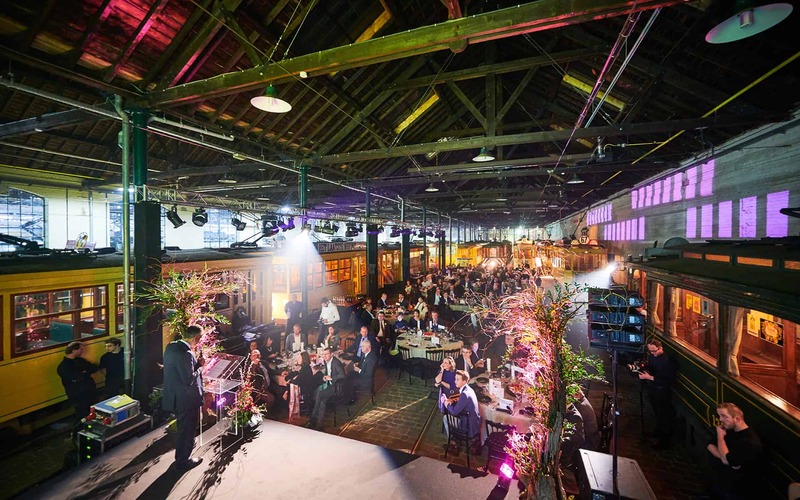 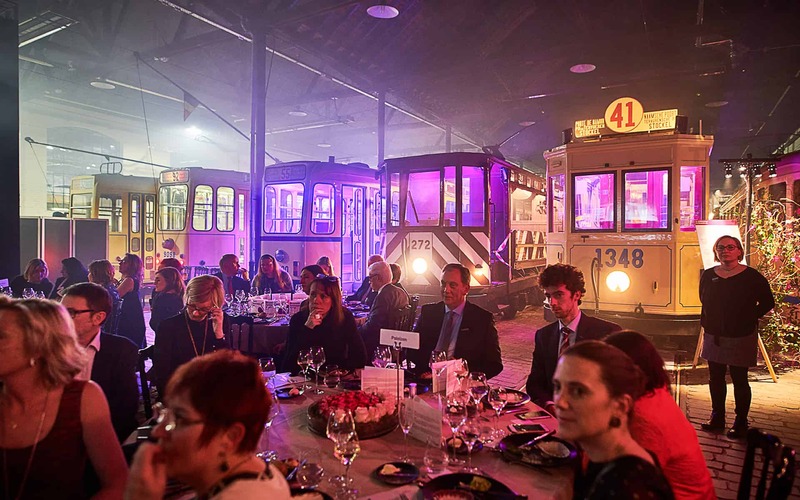 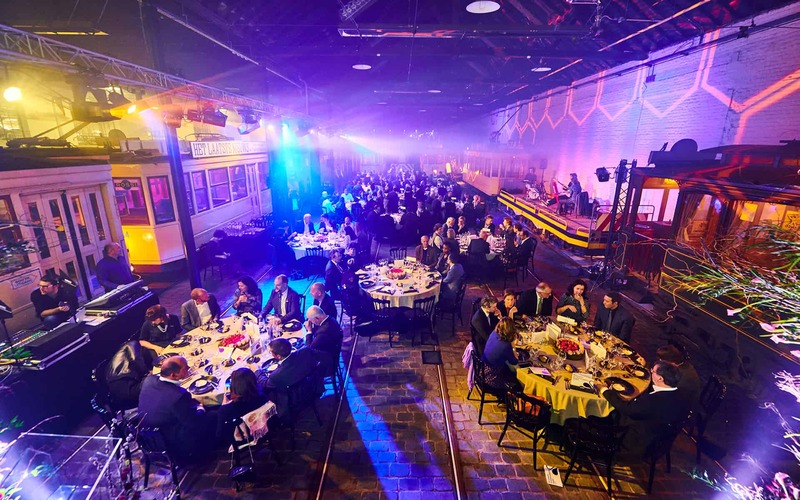 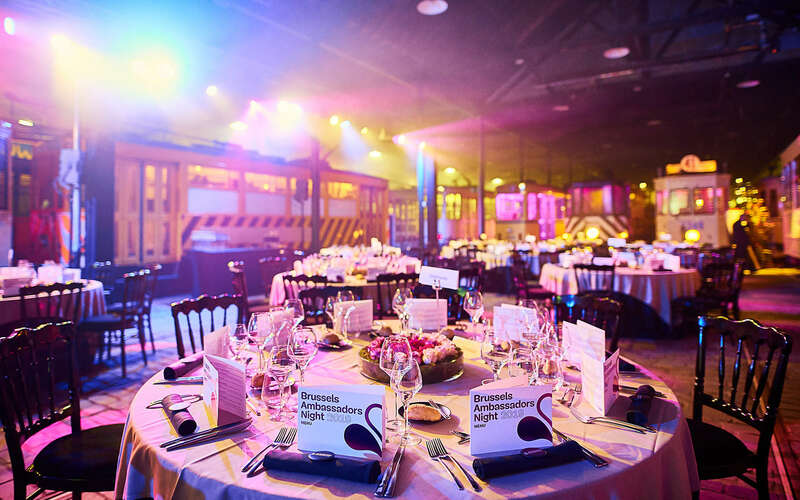 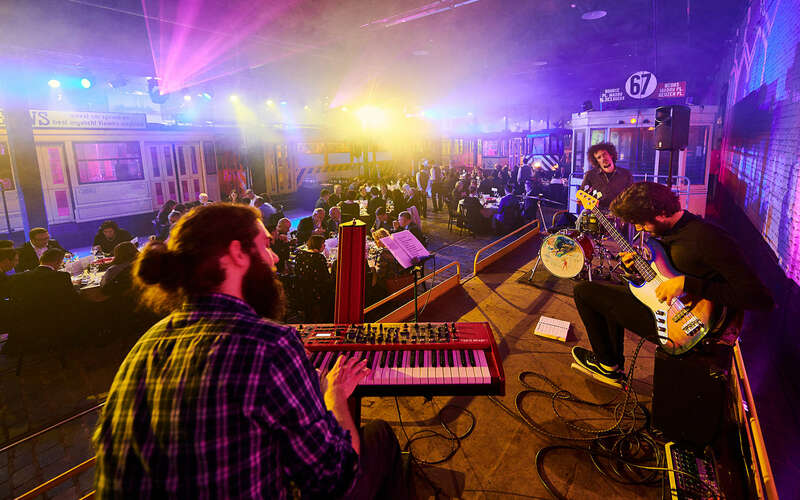 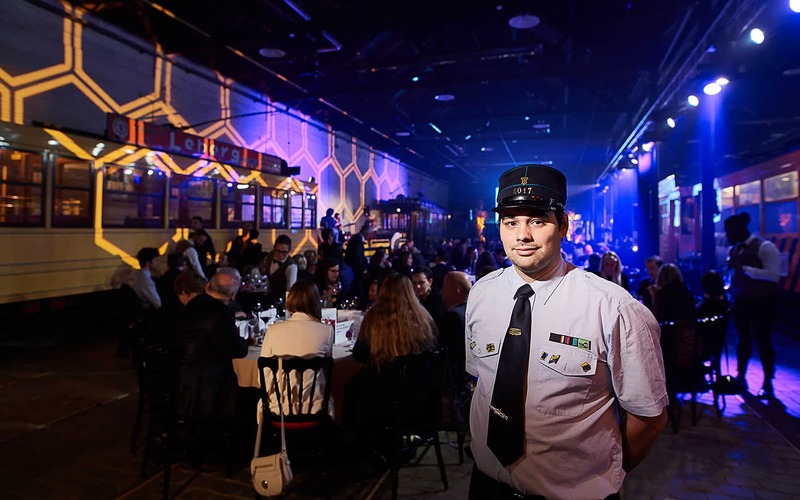 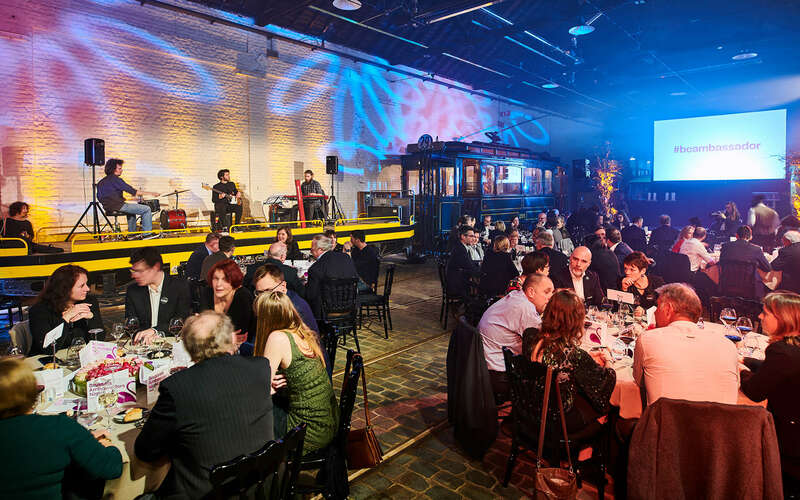 The gala event hosted 150 directors, scientists, academics, or doctors at Musée du Transport Urbain Bruxellois. 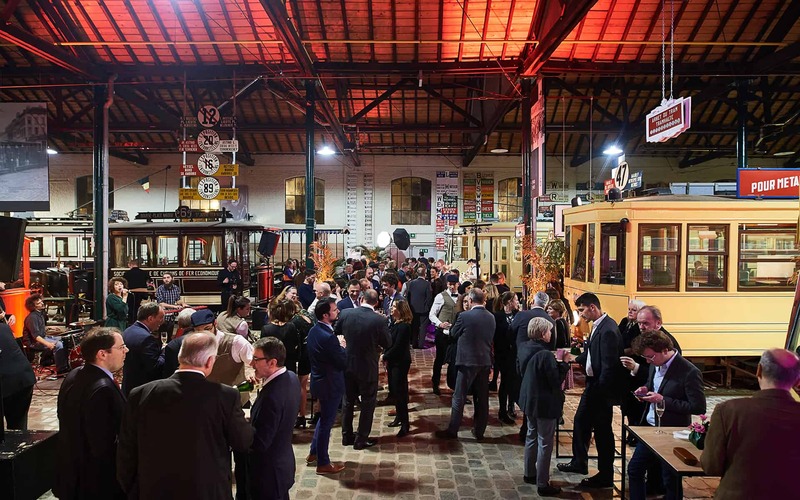 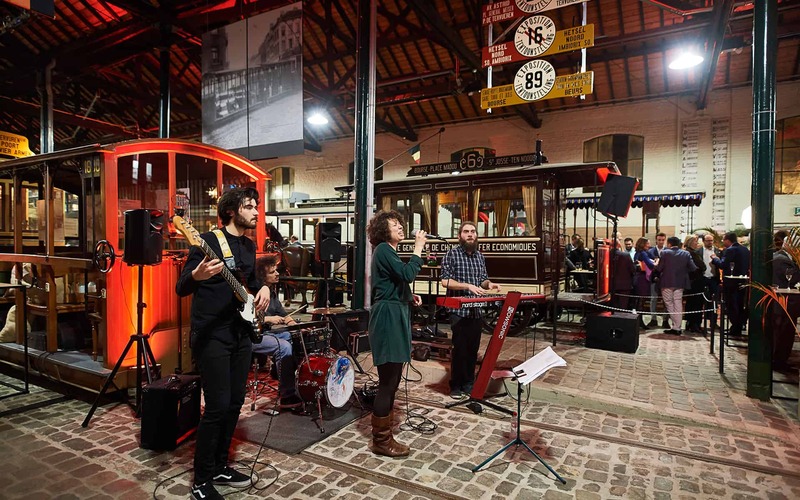 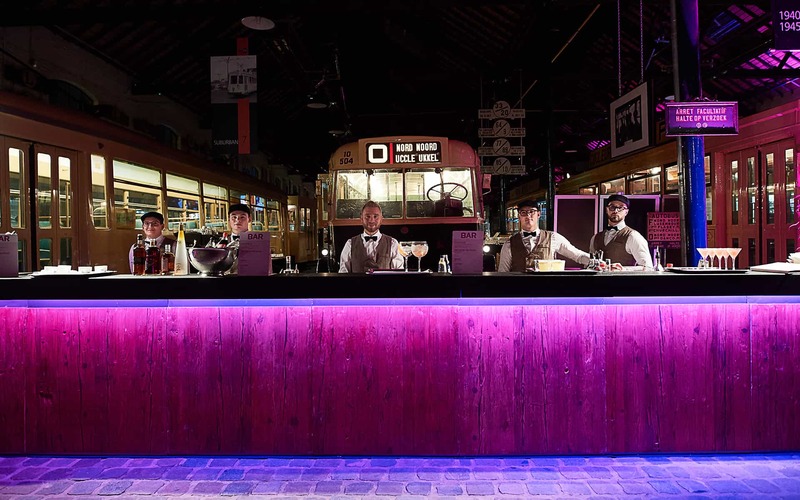 Being an actual operational building, the Musée du Tram has to be remodeled to host events. 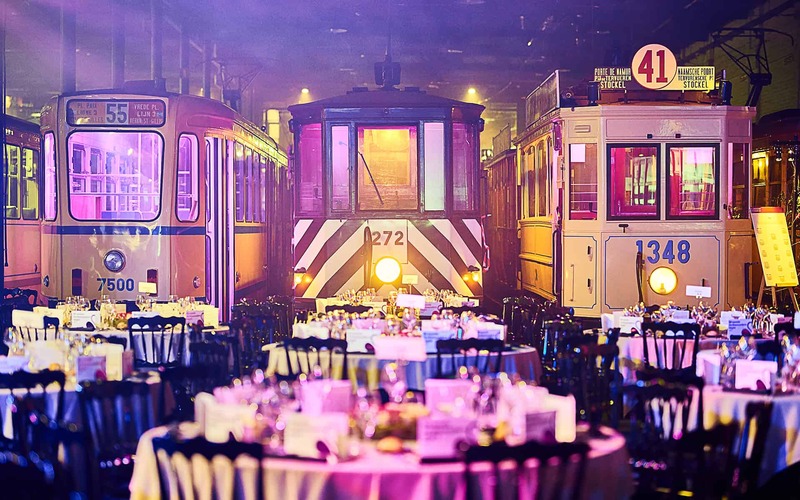 Also, it needs to be up and running by the morning. 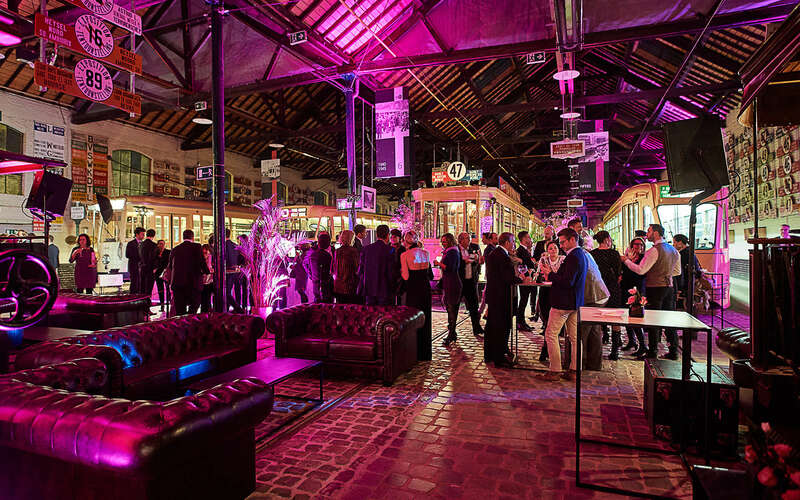 We worked closely with visit.brussels and the venue to make sure the event was looking stellar, all the while respecting these all-important constraints.